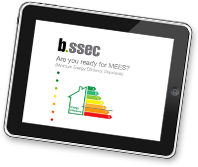 On 1st April 2018, legislative changes in the Energy Act 2011 brought the new MEES (Minimum Energy Efficiency Standards) into effect. The changes to the Act now make it unlawful for commercial landlords to let/sublet properties in England & Wales with the two lowest Energy Performance Certificate (EPC) ratings of F and G, subject to certain exemptions. If you are managing or letting a property with a current F or G EPC rating then you need to take action fast to raise the energy efficiency of the property and avoid substantial fines. If you have a portfolio of properties we can manage the energy efficiency of them all, to ensure you comply with MEES, maximise energy efficiency and achieve cost savings across your portfolio, thereby increasing the value of your investment. This does not necessarily mean huge expense or major site changes. Wherever possible we are recommending a programme of soft refurbishment to meet the MEES requirements. These include improvements to lighting, controls systems, variable speed drives, ventilation heat recovery, thermal insulation, boilers and chillers and external fabric improvements. Develop a long-term masterplan which sets out assets, EPC targets, an appointed team and a timeline. Make sure it aligns with the organisation’s existing asset management plan. Develop an appropriate technology strategy for each estate or building, including anticipated energy savings and costs. Test, review and refine using pilot installations. Project management & implementation – of all stages including the development of technical specifications, management of the suppliers tender process, smooth implementation, commissioning systems and set up, and training. Measurement & monitoring – measure at quarterly intervals and verify savings at 12 months, comparing to the original business case. Apply learnings from this process to any future implementation.